Equivalent scale speed of 700 km/h! First ever circuit system linked to the WEB! Enjoy real racing experience with immaculate scale form. Incredibly detailed miniature cars look just like 1/43 scale replicas. dNaNo revolutionizes the world of micro motor sports with its breathtaking realism and advanced circuit system.  Kyosho innovation results in a newly developed chassis that clones the scale dimensions of the original car. Achieves both advanced racing performance as well as scale realism. But the surprises don't end there. What makes the dNaNo an generational shift is the amazing circuit system linking a special circuit to the dNaNo Server, providing the owner with total visibility and control of the performance. By registering the car and entering the special circuit, the dedicated ID assigned to the IC tag on each car during production links to the circuit and starts measuring lap times. While displaying your data on the circuit display, all dNaNo circuits are networked to the dNaNo Server, which automatically gets updated with your lap times. You can access this webpage from your PC. This amazing WEB link system made possible with the dNaNo provides you with a deeper involvement with your racing machine and its performance, bringing you closer to the racing experience than ever before.